On Wednesday, for a brief period, India's first spacecraft to Mars will be hidden from the sun and the Earth, as it heads to the ‘dark side’ of the red planet. During the blackout, Indian scientists will lose their live connection with the Mars Orbiter Mission (MOM), which will then go into the autonomous mode. Shortly thereafter, Indians will hope with all their hearts that the main engine fires up to do what no Indian space mission has done before i.e. push an object into orbit around Mars. More than half the missions sent to Mars by different countries have failed. While the pure odds may not be in favour of India's first attempt, MOM has defied the popular precedent to survive the 10-month journey to the planet. K Radhakrishnan, chairperson of the Indian Space Research Organisation (ISRO), remains confident. And as all scientists should, his team has a plan B in case things go wrong. Earlier this week, the American MAVEN mission entered the orbit around Mars. Managed by the National Aeronautics and Space Administration (NASA), MAVEN's aim is to understand why and how Mars's atmosphere evolved. At a development price tag of $671 million, MAVEN costs nearly ten times as much as the Indian MOM. Any other comparison between the two missions would be futile. Built on a shoe-string budget, MOM is the end product of a rushed development. 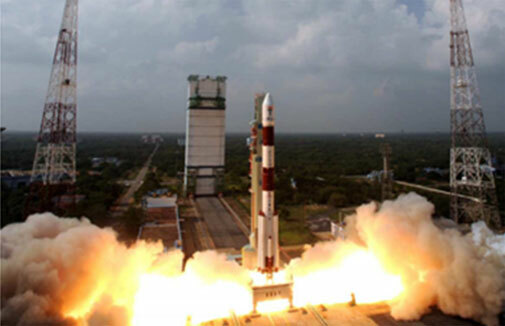 It was launched aboard ISRO's Polar Satellite Launch Vehicle (PSLV), which, as the name suggests, was developed to launch Earth-bound satellites. Using it for a Mars mission limited the quantity of payload that could be sent. That is why MOM carries miniaturised scientific instruments, weighing only about 15 kilograms. They will allow the study of the Martian surface and atmosphere. However, collection of scientific data is not MOM's main aim. What, then, does this mission hope to achieve? This 1981 picture of Indian satellite APPLE being carried in a bullock cart shows that India is a country of contradictions. A third of its people are still below the international poverty line. As counterintuitive as it may seem, well-defined space research can bring tremendous economic benefits. Better communication and superior weather warning systems are possible only with the help of rocket scientists. Without these, India cannot call itself a global player. Availability of better infrastructure brings more than enough investment to offset the cost of space research. If successful, the MOM mission will prove to the world that India can pull off a mission of such complexity. In the 67 years since independence, the country has come a long way without much help. 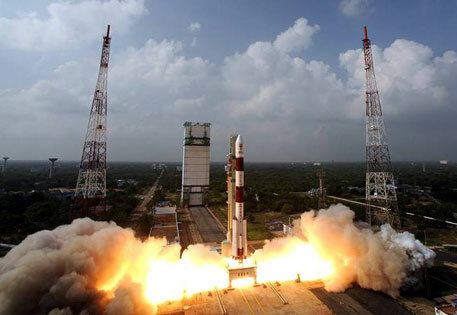 In recent years, ISRO's commercial arm has launched 35 satellites from 19 countries, namely Algeria, Argentina, Austria, Belgium, Canada, Denmark, France, Germany, Indonesia, Israel, Italy, Japan, Korea, Luxembourg, the Netherlands, Singapore, Switzerland, Turkey and the United Kingdom. With developing countries pumping more money into space endeavours than ever before, it is a fruitful market for a frugal service provider. In addition to the commercial interest, the success of an Indian mission to Mars will signify the arrival of a serious scientific player. “It will be a validation that Indian research and development has come of age,” Amitabha Ghosh, an Indian-born planetary scientist based in the US, told Nature. “India is still perceived as a place where work is outsourced, not because of superior science and engineering skills but because of a cost advantage,” he added. Such developments are important to nurture the dreams of humanity. Martin Rees, the British Astronomer Royal, expects that humans will have settlements on Mars within two centuries. But he is not sure if Western countries can achieve this. It will need the determination of nations such as India and China. Or, perhaps like the International Space Station, it will have to be a global collaboration where each country brings in expertise and money to build a sustainable colony beyond Earth. Perhaps, one need not paint such rosy pictures to understand our motivations behind space exploration. According to a recent report by the Future of Humanity Institute at the University of Oxford, the long-term survival of the human species (maybe in the body of robots) lies not on Earth but in outer space. The uncertainties of living on a precarious blue planet are too great to not find ourselves new homes that will help spread out the risk of extinction. If MOM is successful, humanity's future will be a tiny bit more secure than before. Akshat Rathi is Science Editor of The Conversation UK. He has a PhD in Organic Chemistry from the University of Oxford.